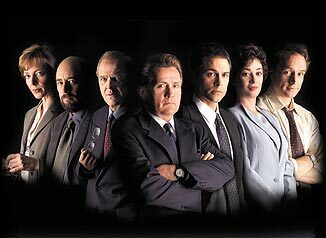 The following survey of the amount of air time/number of scenes devoted to the various relationships is used by permission from the West Wing Statistics Project created by Nomad and originally done for the Television Without Pity forum on the West Wing. No big surprise: the relationship that has more scenes devoted to it than any other is Josh and Donna's. The relationship that gets second most attention is Leo and POTUS. Toby/Sam takes third place in seasons one and three, although it was briefly eclipsed by Josh/Sam in season two. Season two was a very balanced season in terms of relationships; the attention was spread around a lot of different pairings. CJ is probably the most fully rounded of the senior staff, spending relatively equal times with Josh, Sam, Leo and POTUS. The reduction in Josh/Sam scenes is not imaginary - however, it's interesting to note that Josh's relationships with everybody aside from Donna and Leo have been getting less attention. The only relationship that has been steadily becoming more and more prominent is CJ/Toby. POTUS/Toby and Leo/CJ interaction both saw a reduction in season two, and are getting back on track now. Leo/Toby interaction saw a huge bump in the second season and has now gone back to season one levels. List of Those Who Have Found Mistakes.